The more I use my homemade cleaners, the more I like them. 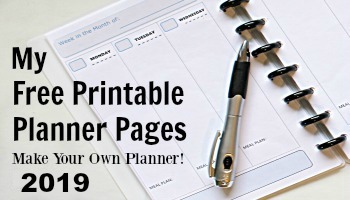 They’re cheap, they’re safe, natural and non-toxic, and most importantly, they work! They can get the house just as clean and fresh as any store bought cleaner without the unknown chemicals and annoying fumes. 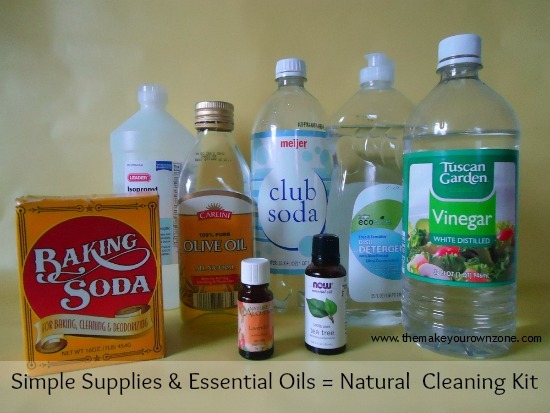 Because I’m enjoying my homemade cleaners so much, I decided to create a group of recipes that together make a great homemade natural and non-toxic cleaning kit to cover many of the cleaning jobs in your home. 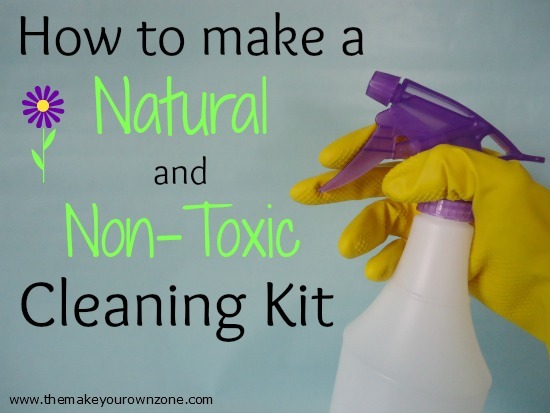 If you’ve been thinking about giving homemade cleaners a try, this is a great way to get started. This cleaning kit contains an all purpose spray, a soft scrub, a glass cleaner, a bucket mix for bigger cleaning jobs, and of course my very favorite homemade cleaner, my furniture dusting spray. This spray is a good all purpose spray for many hard surfaces. The addition of tea tree oil to the recipe also gives it a boost of disinfecting power. Combine the ingredients in a spray bottle and shake to mix. To use, spray onto surfaces and wipe with a cloth. This homemade soft scrub recipe has a thinner consistency than my basic homemade soft scrub which makes it easier to put in a bottle and squirt onto the surfaces you want to clean. I like to put this mixture in a recycled dish soap bottle. Place the baking soda in a small bowl. Add in the dishwashing liquid and stir to combine. Finally, stir in the club soda or water to thin the mixture. Pour the mixture into a bottle with a squirt top opening. To use, squirt onto the surface and scrub with a wet sponge and then rinse with water. Most of the time I just use my basic club soda glass cleaner which does a wonderful job, but I also like this homemade glass cleaner. This is a larger version of my homemade eyeglass cleaner that did such a great job on my eyeglasses that I made a bigger batch for household cleaning. Combine the rubbing alcohol and water in a spray bottle. Add just a little bit of dishwashing liquid to the mixture and then shake gently to combine. To use, spray on glass, windows, or mirrors and wipe with a soft cloth. Combine the ingredients in a spray bottle and shake gently to combine. To use, spray on surfaces and wipe with a soft cloth. I shake this mixture often while using it to keep the water and oil mixed. Finally, for those times when you’ve got a big job like cleaning walls or cupboards that requires more than just a spray bottle mixture, you can make this large mixture to go in a dishpan or bucket. Place the water in a bucket or other large container. Add in the vinegar and the soap. Sponge onto surfaces and wipe, and then dry as needed. If any of the ingredients above are unfamiliar to you, you can check out the Amazon listings below to learn more or to order. What is the best way to clean my leather sofa? My homemade furniture dusting spray is a good option to try on a leather sofa. The little bit of olive oil in that spray is nourishing for the leather. So far I have converted to the following homemade cleaners: laundry soap, dishwasher soap, vinegar in both washer and dishwasher, wood furniture cleaner, granite cleaner, soft scrub, wool dryer balls. Oh yeah, and I made my Greek yogurt and granola too! I am very happy with all the results.